SCCs are relevant to posture and locomotion: animals that move rapidly tend to have big canals, especially big anterior canals, and the horizontal semicircular canals (HSCCs) are usually held more or less level as animals go about their business. It’s the “more or less” part that gets sticky, as we’ll see in a minute. SCCs and inner ear anatomy in general are areas of accelerating research in vertebrate paleontology, because the soft tissues that comprise them (the membranous labyrinth) are housed in dense bone (the bony labyrinth) which is often preserved and can be imaged non-invasively using CT. Even braincases that look pretty crappy from the outside can yield beautifully-preserved bony labyrinths, from which the dimensions of the membranous labyrinth can be measured and the acuity of the system can be estimated. We’re not done with heads, though. Once the HSCCs get us in that 50-degree range, we still have to figure out how the neck facilitated those postures. One thing that seems to hold across the board in sauropodomorphs is that when the HSCCs were in the -20 to +30 range around horizontal, the occipital condyles were pointed down. And that has major implications for the posture of the neck, as we’ll see in the following example. 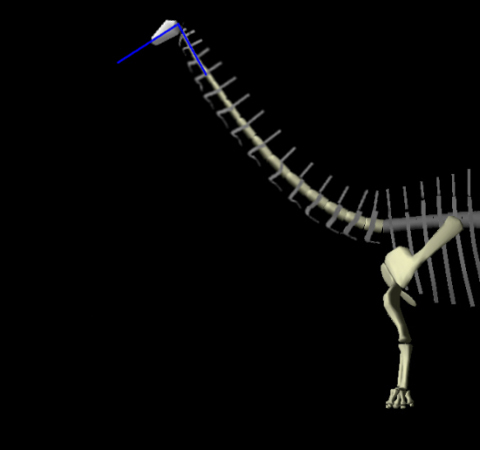 Let’s start with this neatly abstract Apatosaurus skeleton, borrowed from Kent Stevens’s site here. Note that this version is from 2005 and Kent has updated his models considerably since then. I’m using this one because its elegant minimalism made it easy for me to play with, but it doesn’t represent Kent’s current thinking. Here’s the same image with some lines drawn on to indicate the long axis of the skull, the orientation of the occipital condyle, and the angle of the anterior neck. 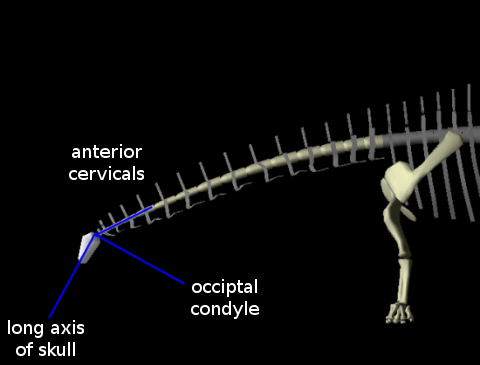 In Apatosaurus and Diplodocus the occipital condyle is at right angles to the long axis of the skull. That means that if the cranio-cervical joint was held in “neutral pose”, the head would be at right angles to the anterior neck. Recall that extant tetrapods hold their heads flexed on their necks. This Apatosaurus has its head extended by 50 degrees. This is major extension–to see what it feels like, lean your head back until you’re looking straight up, and then lower your head until its almost halfway back to normal. Imagine walking around like that. In this pose the HSCCs are angled down, within the 50-degree ballpark but not level. Just for the sake of argument, let’s set the HSCCs level and force the craniocervical joint into ONP. Now the head and first few cervicals are okay, but clearly this posture won’t work with the neck in the original pose. We’re going to have to move the neck up to meet the steep angle dictated by the HSCCs and the occipital condyle. One option is to keep as much of the neck in the original pose as possible, and just elevate the vertebrae closest to the head. This is not so far off from how Apatosaurus has been depicted for more than a century. But it doesn’t agree with the data from extant tetrapods, in which the neck is extended at its base. Here’s the partially Vidal-compliant version, with the cranio-cervical joint in ONP and the base of the neck extended. To be fully Vidal-compliant, the head would have to be flexed on the neck. In the diagram, that would have the effect of turning changing the angle between the long axis of the skull and the anterior cervicals from a right angle to an acute one. Since the orientation of the head is “fixed” by the semicircular canals (in this example), that means the neck would have to be even more steeply inclined. One more for the road. Here the HSCCs are angled up by 20 degrees, which is in the upper part of the range but certainly not an extreme value for either birds or mammals; chances are you and your cat carry your HSCCs at about the same angle (intraspecific variation caveat applies!). Angling the HSCCs up moves the occipital condyle further down, which makes the neck steeper still. You may look at that last picture and think it’s impossible or crazy, and I don’t blame you if you do. Remember that all I’ve shown you is two possibilities from within the 50-degree ballpark defined by the HSCCs. But even if we put the HSCCs at the very bottom of that range, the occipital condyle still points down at something like 25 degrees below horizontal, which means the anterior neck has to be angled up at 25 degrees just to keep the cranio-cervical joint in ONP; if the head is flexed on the neck, it has to be steeper. The moral of the story is that, even within the broad range of postures allowed by the HSCCs, head posture still constrains neck posture to be elevated in most if not all sauropods. It will be VERY interesting to see how the skull of Brachytrachelopan is put together, when one comes to light. Duijm, M. 1951. On the head posture in birds and its relation to some anatomical features. II. Proceedings of the Koninklijke Nederlandse Akademie van Wetenschappen, Series C 54: 260–271. Sanders, R.K. and Smith, D.K. 2005. The endocranium of the theropod dinosaur Ceratosaurus studied with computed tomography. Acta Palaeontologica Polonica 50 (3): 601–616. Taylor, M.P., Wedel, M.J., and Naish, D. 2009. Head and neck posture in sauropod dinosaurs inferred from extant animals. Acta Palaeontologica Polonica 54 (2): 213–220. We’ve added scans of the print-edition coverage that we got in the UK’s national newspapers (and the London-only freebie Metro). Somehow, seeing it in an actual newspaper still feels more real than the same newspaper’s web-site. Scan are at the bottom of the paper’s home page. Congratulations on the paper guys. I’m not sure I’m quite willing yet to go along with erect-necked diplodocoids but I think the clear demonstration that the ONP is a virtually meaningless concept for palaeobiology is a very valuable contribution. Given the extreme angle that the HSCC of Nigersaurus was held relative to the long axis of the skull, wouldn’t the neck have to be ‘retroextended’ over its back to bring the HSCC into an upward tilt of 20 degrees and a flexed cranio-cervical joint? Seems that this would be too much for the cervico-dorsal series of any sauropodomorph I’ve ever seen (although I admit I aint seen Nigersaurus). Just wondering out loud here but is the flexed cranio-cervical joint of modern amniotes just a consequence of maintaining a nearly horizontal head on an erect neck with a straight anterior section. If flexion was acheived in the anterior section of, say, an unusually long neck wouldn’t the need for a flexed cranio-cervical joint be lost? Another reason the flexed cranio-cervical joint might not be maintained was if the head was so modified that a subhorizontal long axis of the skull was not used during the alert pose. This is particularly relevant to rebbabisaurids (and to a lesser extend diplodocids) where the back half of the skull (brains, ears, and eyes) is rotated almost at ninety degrees from the snout and jaws compared to the primitive arrangement. In conclusion you state that in the absence of any other evidence it is most parsimonious to assume ‘vidal-compliant’ head and neck postures during alert phase rather than to assume novel evolution. Well I suspect that when it comes to diplodocoids we have at some hints that that novel evolution might have occurred. Macronarians? erect necked I’m sure (and probably while locomoting and feeding as well), although even here I wonder if the cranio-cervical flexion wasn’t spread over the anterior most cervicals, rather than concentrated in the cranio-cervical joint. Hi, Adam, great to have your thoughts — especially regarding diplodocids and the possible implications of their rotated braincases. You may well have a point there. As for whether head flexion is achieved all at the cranio-cervical junction or by progressive flexion of the first few cervical joints — I agree that the latter seems reasonably likely give that it’s what we seem to see in birds. 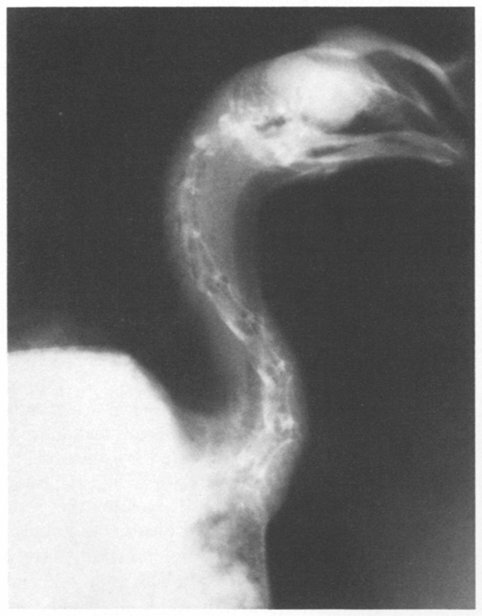 Check out the chicken X-ray from VIdal et al. (1986:fig. 7). You may have noticed, by the way, that we hedged our bets in this regard: the Diplodocus neck reconstruction that we included in the press release (and in much smaller form as part of our figure 3) does indeed have its first few cervical joints slightly flexed. Given the extreme angle that the HSCC of Nigersaurus was held relative to the long axis of the skull, wouldn’t the neck have to be ‘retroextended’ over its back to bring the HSCC into an upward tilt of 20 degrees and a flexed cranio-cervical joint? Yup–but remember, the HSCCs could just as easily have a downward tilt of 20 degrees, which would crank down the front of the neck by 40 degrees compared to the scenario you outline. Witmer is correct to note that 5-10 degrees above horizontal is the mean, but if you look at Duijm’s plots there is a LOT of scatter so this is one place where ‘mean’ cannot be read as ‘standard’. If there is way to figure out where within the 50-degree ballpark the HSCCs were at, we haven’t thought of it, and AFAWK neither has anyone else. Nigersaurus is tough because the occipital condyle is already at an acute angle to the long axis of the skull–this would seem to preclude very much flexion of the craniocervical joint. But maybe it just wasn’t flexed very much. Looking at human skeletons you wouldn’t think that we could habitually hold our heads flexed. We do, just not very far. And who knows, maybe Nigersaurus was an exception. We’re not adverse to the idea that some sauropods might not have played by these rules. We just want people to start thinking about it critically, and hopefully go find new lines of evidence to bring to the table. Finally, it is really interesting to me that most sauropods have the occipital condyle at something approaching a right angle to the long axis of the skull, and most prosauropods don’t. That suggests some kind of change in neck posture between basal sauropodomorphs and, say, eusauropods. I haven’t thought about what that might be or the implications of it at all, it’s just an observation. Your thoughts on this would be most welcome (you may want to put them into a paper instead of a blog comment if they’re really good, and that’s fine too!). Wait, what? “Nigersaurus is tough because the occipital condyle is already at an acute angle to the long axis of the skull”. Are you saying that its OC is directed anteroventrally when the skull is oriented horizontally? That would be beyond weird. Also: is this based on pers. obs. of the cast that visited OMNH? Because so far as I can tell, there’s nothing in what’s been published that lets you determine the orientation of the OC. Ah, dude, see Fig. 1 here. Looks like I overstated the case, though. Although that fig does not show the occipital condyle clearly, it is always just below and in line with the brainstem. With the skull oriented like they show in the fig, the occipital condyle should be pointing about 20 degrees below horizontal, so the angle between the occipital condyle and the long axis of the skull is still close to a right angle. Oddly, the Diplodocus skull used in that fig seems to have its occipital condyle at an obtuse rather than a right angle to the long axis of the skull, unlike the one we illustrated in the paper. I suppose some amount of variation is to be expected, especially since the precise angles we’re talking about are subject to the vagaries of taphonomy. Are you saying that its OC is directed anteroventrally when the skull is oriented horizontally? That would be beyond weird. It happens though (just not in Nigersaurus). According to Gary Kaiser in The Inner Bird, the American Woodcock (Scolopax minor) has such extreme facial rotation that the angle between the braincase and the beak is only 60 degrees. There are photos of the skull here. I’m confused about what you guys are saying about Nigersaurus. Is its OC like ours (at a right angle to the long axis) or like a theropods’? Or somewhere in between? After thoroughly reading your paper (and all the blog posts about it), I’m praying (to Cthulhu!) for a Brachytrachelopan skull. The neck is already wierd enough, not just because it’s short, but because the neural spines curve forwards instead of back. To me, that implies that the neck could not be raised very high (if at all) because the tops of the neural spines would hit and form natural stops. Right angle. You can’t actually see the OC in Fig 1 here, but you can see the trajectory of the brainstem and the OC follows that. The right angle of the Diplodocus occipital condyle always fascinated me. Bakker drew Barosaurus with vertical necks for precisely this reason. At the very least I think Diplodocus had an upward curve near the head. I’m a bit reluctant to go all out vertical on diplodocids, seeing as their neck structure was a bit more “cantilever” than that of Macronarians. 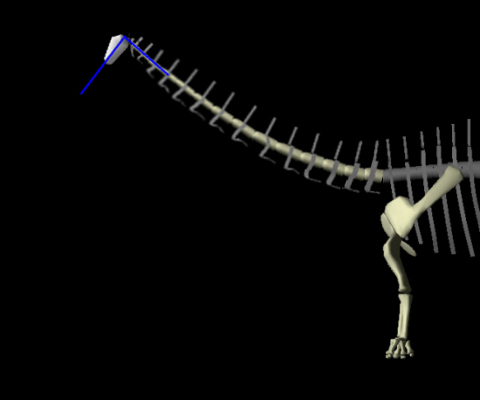 But a vertical atlas and axis are pretty much unavoidable, as with Greg Paul’s skeletals of Diplodocus. But what really caught my attention was the Ceratosaurus semicircular canal model. Are there also 3D models of Diplodocus and Brachiosaurus inner ears? A comparison between the two could provide some very interesting clues . 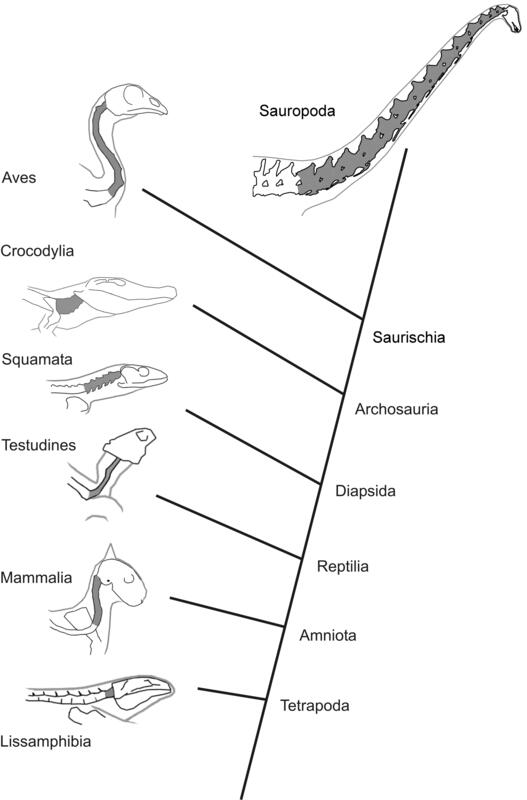 I’m a bit reluctant to go all out vertical on diplodocids, seeing as their neck structure was a bit more “cantilever” than that of Macronarians. What makes you say that? I’m not trying to be difficult; I’m genuinely curious. Are there also 3D models of Diplodocus and Brachiosaurus inner ears? A comparison between the two could provide some very interesting clues. 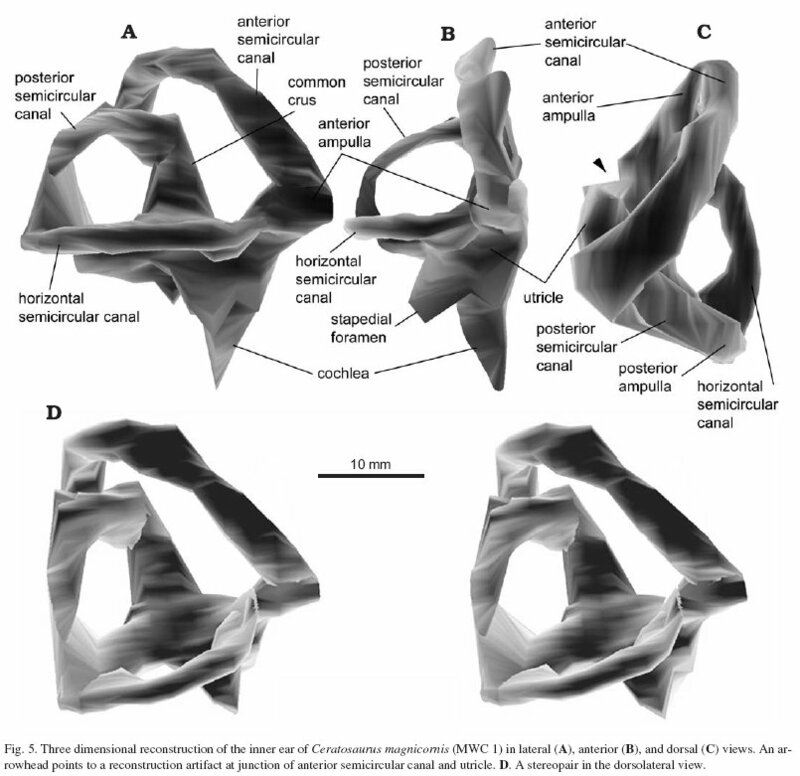 The inner ear of Diplodocus is modeled in the Nigersaurus paper linked in comments above. The inner ear of Brachiosaurus has also been briefly described, but AFAIK the two have not been compared. You’re right that they should be, though. First, because Diplodocids had such a different neck structure than Brachiosaurids, with the split neural spines and that gap in the middle… It doesn’t seem this things was meant for the same posture or feeding style as Brachiosaurus, whatever that was. The twin rows of spines are likely attachments for twin rows of ligaments, with a central one in the “valley” between them, hooking to those little knobs (those Dicraeosaurus pics from Berlin are a great help!). This is far more than would be needed, in my view, to hold up a neck in a gravity-reliant vertical position. And it’s far more complex than what Brachiosaurs had. Perhaps Diplodocus really did hold the yardstick horizontal from one end… however an upward curve to near-vertical near the head, is more likely. Also the short cervical ribs indicate Diplodocus and Apatosaurus didn’t have the same need for powerful lower neck tendons as vertical-necked Macronarians (nearly all macronarians I know of have very long cervical ribs). I envision the tendons pulling on the Diplodocid neck with a slight upward curve, in the same sort of way as cables on a cantilever bridge – It COULD go vertical, or close to it, but wasn’t always held that way. But I’m not favoring the perfectly straight horizontal necks in the DinoMorph model either. Also , Diplodocids had the shortest arms of any sauropod family – and this was a derived adaptation. The Cetiosaurs and other early Eusauropods did not have such an exaggerated hip-to-shoulder ratio. This points to some adaptive need for the short arms. The skull gives a further clue – a wide square mouth with the teeth only at the front. This is good for stripping ferns near the ground (or perhaps the occasional tree fern) but not like the bark-crunching long rows of heavy teeth found in high-browsing macronarians. I suspect that all sauropods (yes, even Brachiosaurs) were capable of rearing on their hindlimbs for defense, intimidation, etc…. but Diplodocids were designed to do it regularly with far less strain – this was a normal feeding behavior for them. I see Diplodocids as burning both ends of the candle – they fed on ferns near the ground, but also on the softer new growth of the treetops low enough to reach by rearing. Some of the stuff in between, or taller treetops, were not as appetizing. Brachiosaurs and Camarasaurs (and Euhelopodids, if they can even be considered a unified family) probably handled the tougher vegetation far better. As they were less adapted for rearing, it would be in their advantage to keep necks vertical at nearly all times. First, because Diplodocids had such a different neck structure than Brachiosaurids, with the split neural spines and that gap in the middle… It doesn’t seem this things was meant for the same posture or feeding style as Brachiosaurus, whatever that was. I’m with you so far. Brachiosaurids are the only clade with no bifid spines in any known members, and the only clade that achieved truly long necks without increasing their cervical count beyond 13, and the only clade with forelimbs longer than hindlimbs. I wouldn’t be surprised if those facts are all somehow related to their ecology. The twin rows of spines are likely attachments for twin rows of ligaments, with a central one in the “valley” between them, hooking to those little knobs (those Dicraeosaurus pics from Berlin are a great help!). Thanks! It seems to me also that the split spines have more to do with expanding the attachment area for muscles and ligaments than with “making room” for a monster central ligament. Ungulates get along just fine without split spines for their big nuchal ligaments, and in fact splitting the spine to put the single, huge nuchal ligament in a trough would decrease its mechanical advantage and be counterproductive. If you ask me, this whole discussion ran off the rails back in the 1980s when people forgot that the nuchal ligament is just one component of the system that supports the head and neck. Alexander’s calculations assumed that the thing in the trough–whatever it was–was providing ALL of the support for the neck (and his calculated neck mass was something like 3x too heavy, which has a non-trivial result on the outcome). This is far more than would be needed, in my view, to hold up a neck in a gravity-reliant vertical position. Hmm. I have no idea whether the brachiosaur model or the diplodocid model is better for holding up a big neck, or holding up a neck in any particular pose. I doubt if either one was clearly superior since both brachiosaurids and diplodocids had longer than average necks, exceeding 11 meters in some members in each clades. I’d love to see someone advance some evidence here, or crank through what would probably be some pretty knotty math to figure that out. In your view, diplodocids were overbuilt for raised necks. In my view, none of us has the data we need to make a solid argument. Also the short cervical ribs indicate Diplodocus and Apatosaurus didn’t have the same need for powerful lower neck tendons as vertical-necked Macronarians (nearly all macronarians I know of have very long cervical ribs). That’s tough. 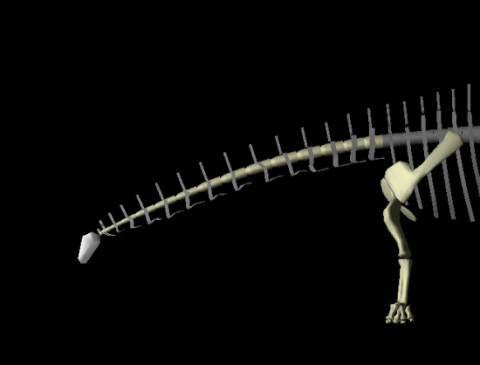 Apatosaurus had a huge area for attaching ventral neck muscles, it was just all concentrated on short, fat ribs. And the difference between the short slender ribs of Diplodocus and the long slender ribs of macronarians could just be a difference in ossification of the inserting tendons to form the rib in the first place. It is interesting that the ossified cervical ribs of all diplodocoids are apomorphically short compared to those of more basal taxa. Also, Diplodocids had the shortest arms of any sauropod family – and this was a derived adaptation. The Cetiosaurs and other early Eusauropods did not have such an exaggerated hip-to-shoulder ratio. This points to some adaptive need for the short arms. That does seem to be the obvious inference. For the life of me, I can’t figure out why it’s so unpopular amongst professional paleontologists. I have a hunch that it’s unpopular because many paleontologists still have what could be called “reluctant tendencies”. That is, they tend to be excessively conservative in their attitudes towards the mechanics of what dinosaurs could do, so many times even veteran professors will either doubt every “radical” theory in spite of the evidence slanting in its favor, or worse yet, put unrealistic, maladaptive limits on dinosaurs. The adaptation of sauropod sacrals for rearing is so obvious that while I see how some paleontologists are resistant to it, what really annoys me is why they are so reluctant to change their entire “ideal” view of dinosaurs, as if the science matters less to them. This is dangerous territory, but a lot of the skepticism today on rearing is unfounded in my view… almost like some experts don’t want to see the evidence unless it’s interpreted THEIR way – the attitude that Bakker referred to as “harrumph-amen”. In this case, it’s flat-out denial. I see it as a vestige of the nihilistic view of dinosaurs so common in pre-Bakkerian paleontology. Sauropods were swamp-bound sluggards, it was accepted “fact” and woe betide those who dared challenge it! Now the catastrophism today is nowhere near that bad, but it still has vestiges. And I wholeheartedly agree about the knotty math. 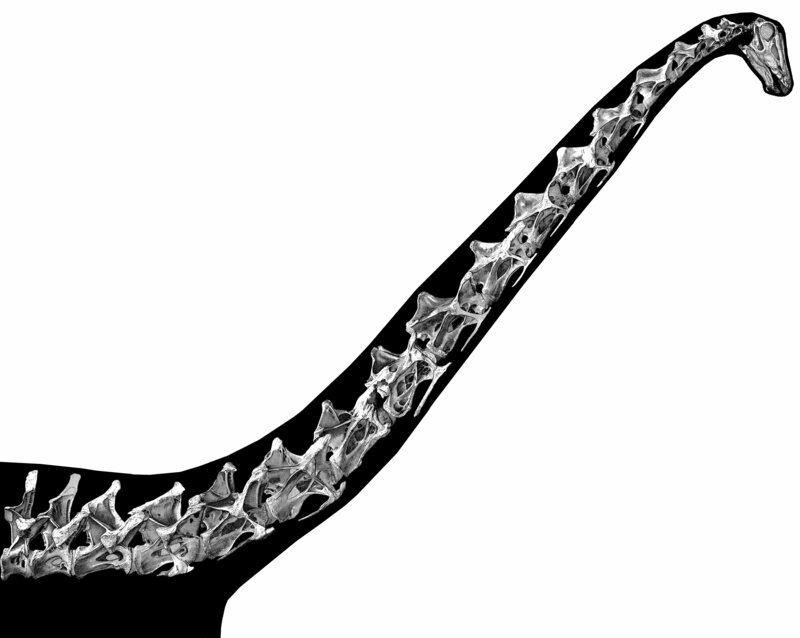 Sauropod neck mechanics would make a for a mathematical nightmare. The main problem with Alexander’s calculations was that he over-simplified everything into a few rough formulas, from sauropod necks to the speed of T.rex, and overestimated masses by a huge margin. Diplodocus was only around 11 tons or less(as this is Greg Paul’s estimate, I’m assuming it doesn’t account for the full level of pneumaticity) That’s not “too heavy to rear” by any means with such a distally weighted physique. One of the tricky things here is the difficulty of accurate calculations and models…though actually incorporating muscles into a 3D model would likely be a very good start. To this day I haven’t seen a single such model in any professional paper (though I hope it’s out there somewhere). I remember Paul Sereno also made a crude model to test the rearing ability of Jobaria, and the results said that it COULD rear – but I’m not sure how accurate that was. Brachiosaurids are the only clade with no bifid spines in any known members, and the only clade that achieved truly long necks without increasing their cervical count beyond 13, and the only clade with forelimbs longer than hindlimbs. Why, brachiosaurids aren’t a clade? Sure, brachiosaurids are a clade — or rather, Brachiosauridae is; brachiosaurids constitute a clade, but never mind that. The problem was that you wrote: “Brachiosaurids are the only clade with no bifid spines in any known members” (obviously meaning the only sauropod clade) and that is only true if you ignore clades beyond a certain size — otherwise I could point out that, for example, the clade of all sauropods more closely related to Haplocanthosaurus than to either Saltasaurus or Diplodocus shares this property. So actually Vertebrat is right — you did mean family in this case; or “family” if you prefer the safety of scare-quotes. To see the OC of Nigersaurus go to the Witmer lab website. There’s some nice 3D pdfs, so you can spin things around and virtually dissect them. So actually Vertebrat is right — you did mean family in this case; or “family” if you prefer the safety of scare-quotes. You’re right. My apologies, Vertebrat, I totally misunderstood what you were saying. Um, Matt, you are in the West. If you wested any further, you’d be East. This is you already diminished. I wonder if the inferrable linkage actually allows splayed front legs. 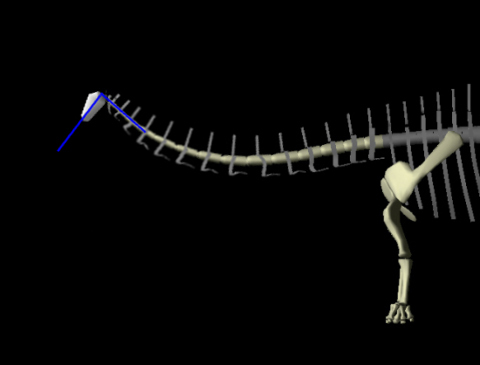 But then, brachiosaurids are middle-gauge sauropods already: the limbs are fairly far from the midline, unlike in the narrow-gauge diplodocoids (though not quite as much as in the really wide-gauge titanosaurs). I wonder again whether there was a specialised role in lateral flexure. Two (or three) lines of force-transmission better than one. Might some sauropods have used neck musculature not merely for postural support of the head and neck, but also to tug with.. pulling off foodstuffs, say (pulling down, pulling sideways or pulling up)? Given that some sauropods have very robust necks and some have very gracile necks, with wider or narrower cervicals – as well as the single or bifid neural spine variation – then I guess so did their behaviour, capabilities and lifestyles vary significantly. But exactly how, I wonder?